Personality and passion are the most important elements in photography. 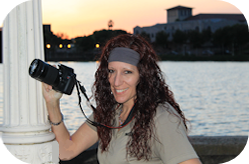 Lynn has shown a passion for photography since she was old enough to hold a camera and it clearly shows in her images. She doesn't just photograph subjects, she photographs subjects the way they make her feel and those feelings are evident in the final image. Photography is a craft, one that takes a lifetime to master and she wrestles with every image to capture the moment. Raised in Bartow, her charm and wit will bring fun and excitement to any photo shoot. 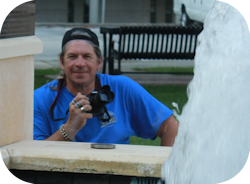 Bill an accomplished photographer himself specializes in action and table top product photography as well as lighting. Bill is also at work behind the scenes handling all of the photo touching and special effects using software programs like Photoshop, Paint shop, After Shot Pro and Light Room to make every image look its best. He also creates all the DVDs that are produced from a photo shoot. Also raised in Bartow, Bill brings lighting and stage experience to capture the moment. Serving Bartow, Lakeland, Winter Haven and Polk County.